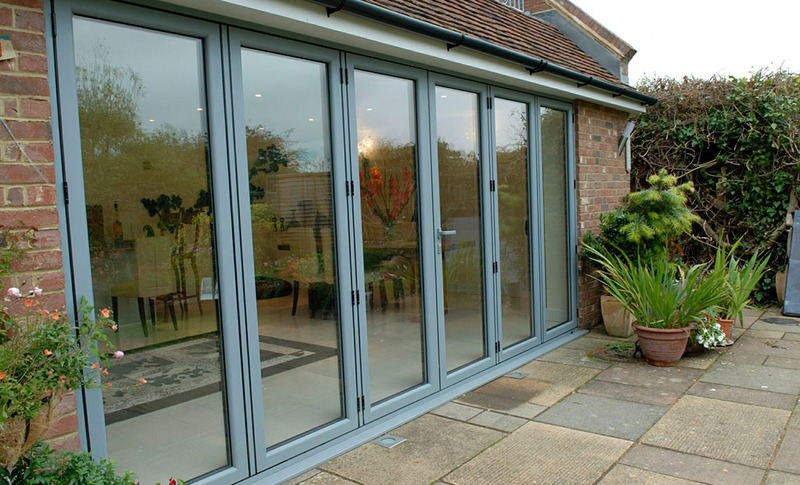 Here at Jewel Bi-Folds, there are multiple options for your double glazed doors, ensuring homeowners in Guildford are able to find a suitable match for their home. All double glazed doors are high quality, consisting of cutting edge materials and the latest innovative components. Jewell Bi-Folds are an incredibly high-ranked service as we provide the best products available on the market. 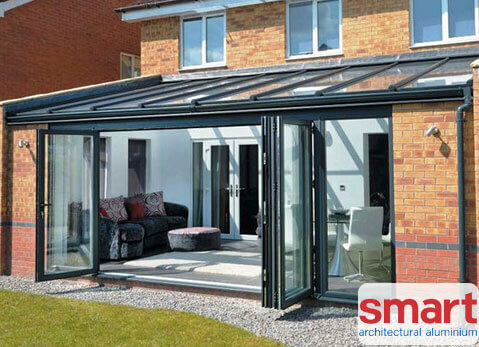 Our uPVC patio doors serve a variety of purposes, meanwhile our aluminium bi-fold doors offer astounding performance in all areas. 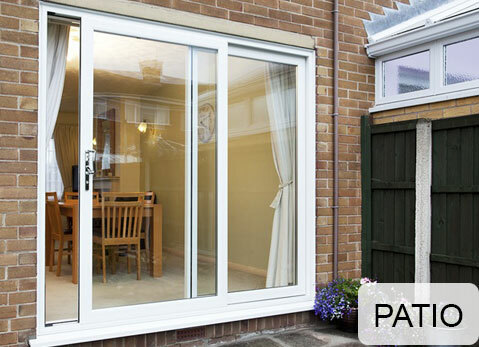 Our impressive range includes uPVC patio doors, are our famous bi-fold doors. 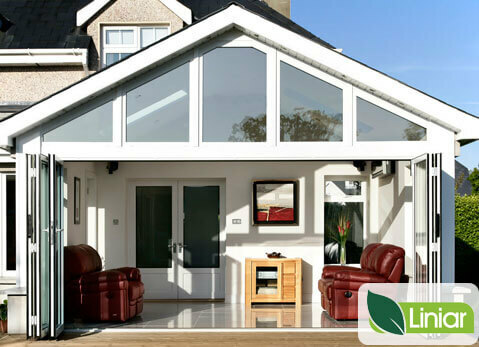 These are manufactured using the leading uPVC profile of Liniar, making doors high-performance. uPVC doors are extremely practical, offering a wide opening and increased glazed area. You’ll feel the spaciousness, as our uPVC sliding doors blend seamlessly with the outdoors. 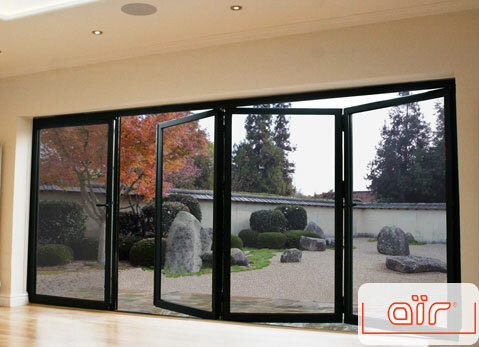 Bi-Fold doors offer phenomenal thermal-efficiency, using a multi-chambered profile that retains heat within a home, while also preventing cold draughts entering inside. These doors perform effortless, operating on a easy glide roller system that is discreetly concealed in the profile, to create impressive views and folding stylishly in various configurations. We offer 2-7 panes with our beautiful bi-folds doors, which may be tailored with an aluminium low threshold with optional ramp, allowing easy accessibility for wheelchair users. When you choose Jewel Bi-Folds you can be assured of optimal quality to provide peace of mind for homeowners in Guildford. We also provide a fast turnaround for those looking to install their bi-fold doors quickly. The patio doors in our range are designed with a modular locking system for Yale, with a shootbolt lock and both head and cill. This provides maximum protection for your entrance. 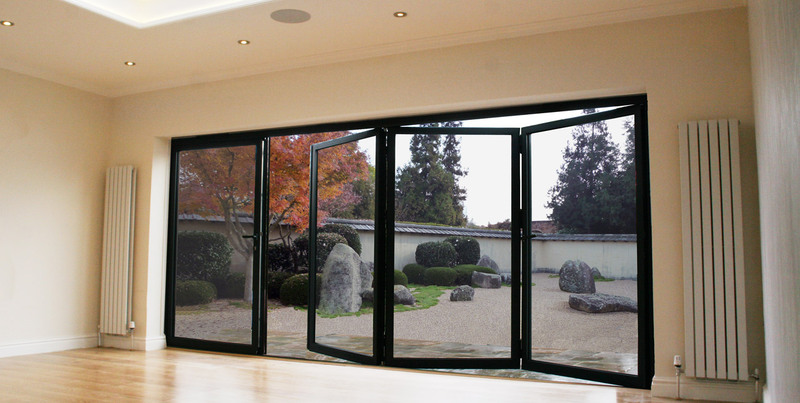 We offer fantastic aluminium bi-fold doors and patio doors, acquiring very sleek aesthetics and a highly-robust frame. 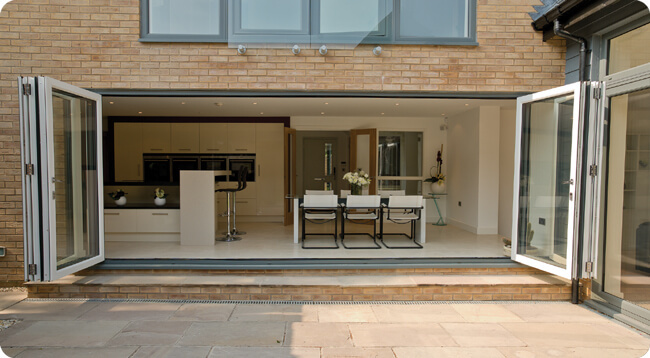 Our aluminium doors offer incredible functionality, effortlessly glide along its track and fitted with high quality hardware such as handles and hinges. 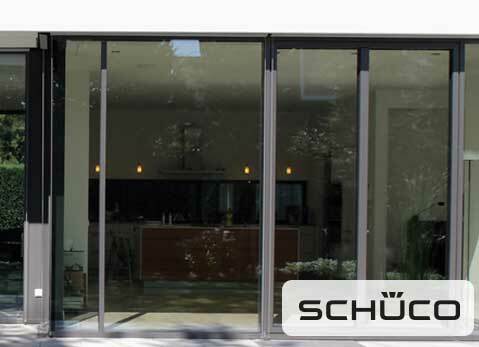 There are various designs available for your aluminium doors, including Smart, Reynaers, WarmCore, Air, and Schuco. These amazing options are from the leading suppliers in the double glazing industry, which means you have the pick of the bunch. 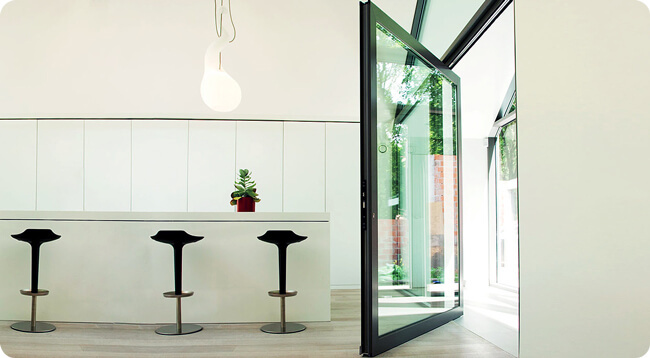 Smart aluminium double glazed doors offer a high-quality profile, which provides strength and weatherproofing. 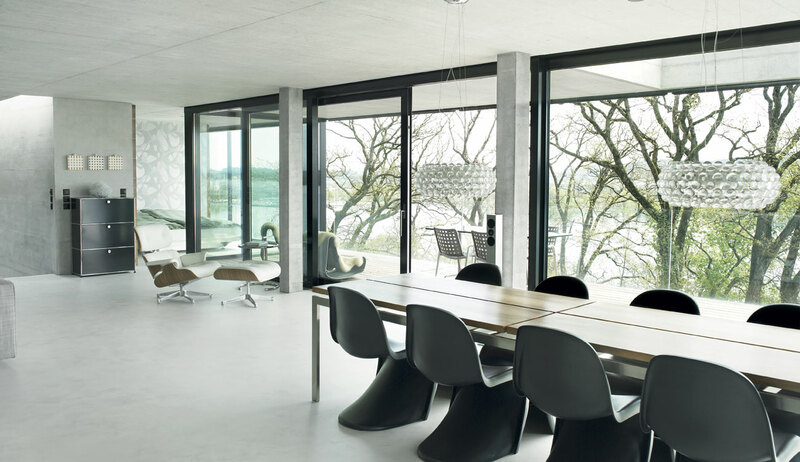 German manufacturers Air offer aluminium bi-fold doors achieving excellent energy ratings and a lightweight, super slim design for enhanced views. Another impressive German profile is Schuco. Used to engineer fantastic bi-fold doors. These offer outstanding functionality and all around performance. 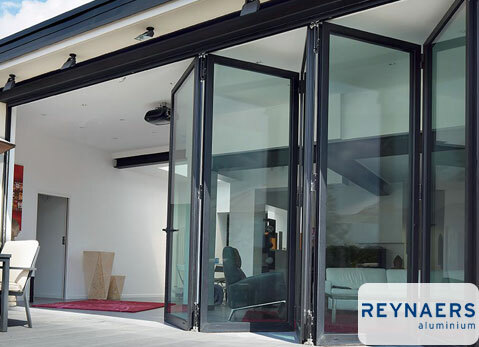 Reynaers aluminium double glazed doors provide exceptional security with a resilient frame and design. These are even resilient against extreme weather conditions. 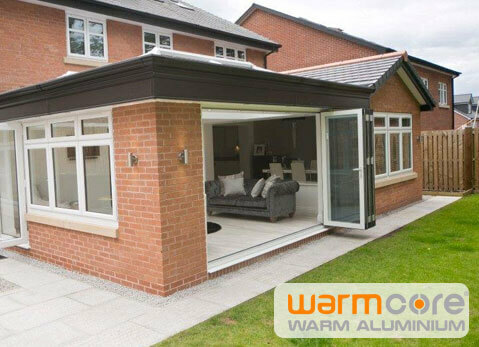 Aluminium bi-fold doors by WarmCore feature a unique thermal core for enhanced thermal-efficiency. These are equally strong and built-to-last. Double glazed doors shall save you money in the short term and the long term too. Your thermally-efficient patio doors will keep your home warmer, allowing you to use less heating, saving you on your energy bills. Our durable double glazed doors require very little maintenance, which will save you money on cleaning products or hiring a window cleaner. These doors are highly-secure, meaning it is unlikely anybody will break into your home with these doors, ensuring your home remains safe. Double glazed doors are high-quality yet low cost. We offer sustainable solutions for double glazing, making them cost-effective as they last longer. Our aluminium and uPVC options are both highly-sustainable, as they are equally recyclable and friendly to the environment. When you install our double glazed doors, there will be an amazing impact on your carbon footprint due to thermal-efficiency. Furthermore, our bi-fold doors are highly-durable, meaning we do not need to reinvest as often, contributing to a happier planet. Our uPVC and aluminium double glazed doors will eventually come to the end of their life cycle, they can be recycled, which contributes to more a healthy environment. We offer an incredible online quoting engine where you can apply for a quote and be issued a competitive price within seconds. You can contact our customer service via our online contact page alternatively. Our friendly, skilled team shall guide you through our double glazed doors further to help answer enquiries.